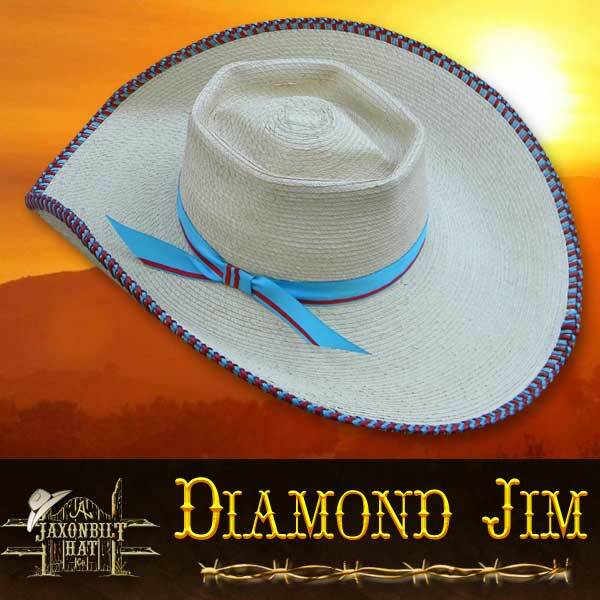 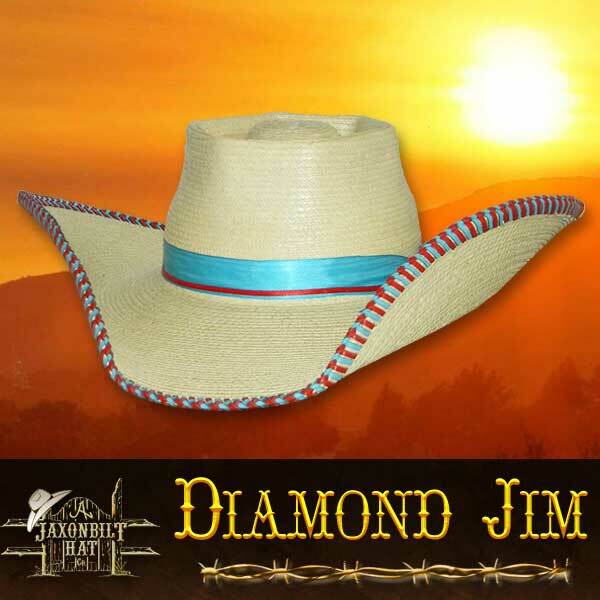 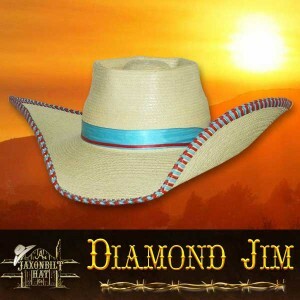 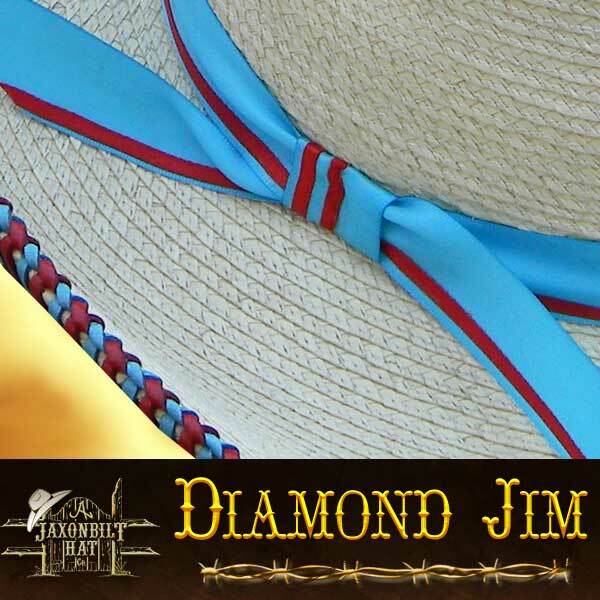 “Diamond Jim” Our unique diamond shaped crown crease gives this hat its name. 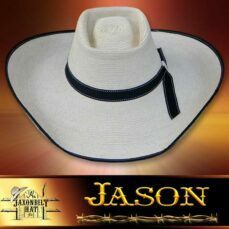 Spanish braided leather brim in your choice of colors, combined with the crown ribbon or perhaps your prefer leather. 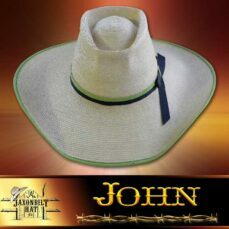 Give us a call today; we will start the Horse Trough Hat of your choice right away.